In religions with creeds and dogma, there have always been heretics who believe something outside the boundaries of their faith. There are Catholics who believe that abortion can be an appropriate remedy to one or more situations. Some Jews like eating shrimp or bacon. There are Mormons who accept LGBTAQ people as full members of their community, praying for a day when the church will do the same. There are members of each of these religions and many more besides who doubt the existence, or at least the character, of the God they have been raised to believe in. Such people often live in silent fear of losing their community, even their family, if their beliefs ever became public knowledge. Unitarian Universalism does have a commitment to promoting a responsible search for truth and meaning. Within the bounds of our Principles, though, there is a lot of room for belief, for doubt, and for exploration. We understand that you may experience something at any time which changes your perspective on and relationship with the sources of wisdom and love or with your own spark of the divine. UUs appreciate that we are discussing the unprovable. We know that we will all have personal experiences that cannot be replicated on demand. We allow one another to interpret those experiences of “that transcending mystery and wonder” in ways that are meaningful to ourselves. More importantly, we know your actions one day, through malice, frustration, or desperation, may fall outside the bounds of what we hold as responsible, compassionate, or appropriate. You are allowed to talk it through, encouraged to learn from the experience, and invited to make whatever change or restitution brings you back into healthy relationship with the community.We accept that our goals are lofty. We know we will all fall short from time to time. “Covenant” holds that the relationship doesn’t end because of error; the relationship endures and we have a responsibility to try and heal them. Being a Unitarian Universalist means that the relationship between each of us and the community is held as a sacred thing. It allows us to search for truth and discern meaning in our own lives. We will be encouraged to consider facts, and to listen to the stories of others. Still, as long as our beliefs do not conflict with the growing body of provable fact, we are allowed to honor the source of life and love as we see fit. It is not an easier path; we are asked, even expected, to think hard and dig deep. It is not for everyone. It is, however, a path that welcomes everyone and allows them to choose for themselves to join our covenanted community. We will make room for all who come, no matter how many times they’ve disappeared, disappointed, or rediscovered us. That is one joy of our style of community-building and -rebuilding; we are always in flux, always changing. We can always make room for someone responsibly seeking truth and meaning. 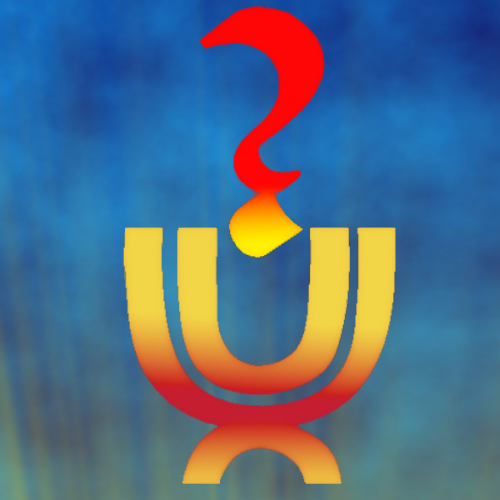 I Am UU is a grassroots effort to make Unitarian Universalism easier to understand and share. We are currently volunteer-run and crowd-funded. If you appreciate our work, please consider becoming a Patron, pledging a couple of dollars a month to keep us running. We use a platform called Patreon. Patreon simplifies the processing of payments and allows us to reward patrons for their engagement. Monthly contributions allow us to budget easily. Learn more here.